The breakup of any long-term relationship always involves some awkward moments where you have to split up the possessions you shared and decide who really owns what. It's awkward enough when you're talking about CDs. Much worse when somebody wants an organ back. Dr. Richard Batista said Wednesday that he wants his estranged wife, Dawnell, to either give him back the kidney she took from him (see diagram, left) or to hand over the $1.5 million he claims the kidney is worth. Batista said that his wife desperately needed a kidney in June 2001 after her own stopped working, and two other transplants failed. "My first priority was to save her life," Batista said at a news conference. "The second bonus was to turn the marriage around." Which is significantly easier to do with a living wife, in most cases. "I was walking on a cloud," Batista said, after he gave his organ to his wife. "I did the right thing for her and to this day I would do it again." Of course, he said that last part just after saying he wanted to undo it. Maybe he is planning to then give it to her again, but in that case I would recommend trying jewelry or flowers first. Batista alleges that his wife then got all their organs involved with someone else less than two years later, leading ultimately to the divorce. 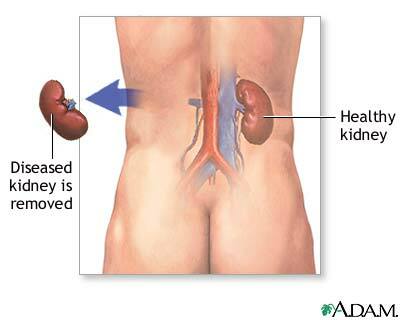 Could he conceivably get the kidney back? An expert at the University of Pennsylvania's Center for Bioethics would not entirely rule it out. According to medical ethicist Arthur Caplan, his chances were "somewhere between impossible and completely impossible." Assuming he's right that there is a range of impossible outcomes, then things are looking up for Batista. Another expert, though, said forget it. "[I]t's illegal [in this country, anyway] for an organ to be exchanged for anything of value," said Robert Veatch at Georgetown University. Besides, Batista donated the organ, and as a legal matter, "when you give something, you can't get it back," Veatch said. "It's her kidney now." Batista's attorney took a firm stance when asked if his client really wanted the kidney itself back. "Of course not," said Dominic Barbara. Surprisingly, it turns out Batista wants the cash, which is, among other things, a lot easier to transplant, and also is accepted by significantly more merchants. Barbara said that the $1.5 million was a reasonable estimate of kidney-related damages, including the money that Ms. Batista was able to go on making as a result of not being dead. "A price can't be placed on a human organ," Barbara agreed, "but it does have value." No it doesn't, said Arthur Caplan, the spoilsport from paragraph four. "There's nothing later you can get in terms of compensation if you regret your gift," he said. There is, however, a great deal you can get in terms of publicity.